Home > TEAS>Black Tea "Orange Pekoe"
Black Tea "Orange Pekoe", produced in the island of São Miguel by Porto Formoso Tea Factory. Bag of 80 grams. The Porto Formoso Tea Factory, founded by Amâncio Machado Faria e Maia, operated between the 1920’s and 1980’s. In 1998 the current owners undertook the recuperation of the factory, part of the Industrial Heritage of the island. Some scholars maintain that the "Camellia sinensis", plant that produces the green and black teas, was introduced in San Miguel in 1750, transported by ships returning from the East. 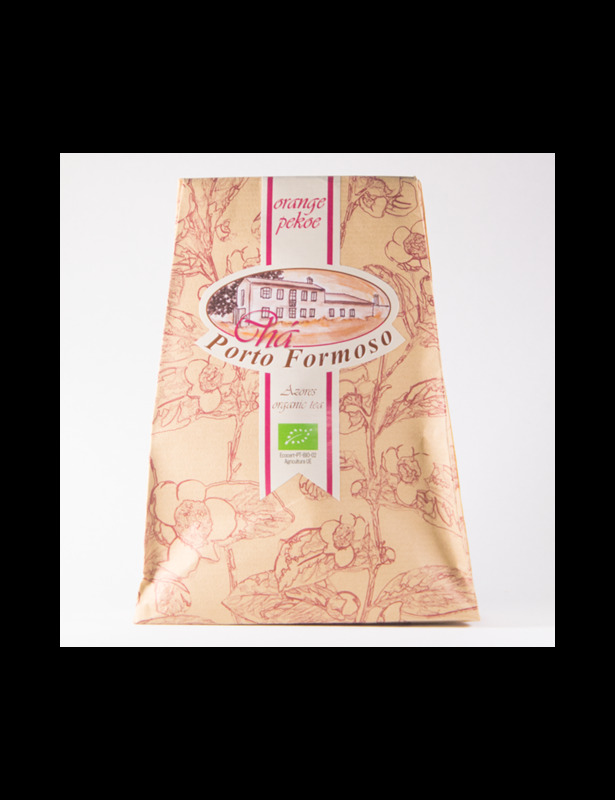 The tea produced in Porto Formoso Factory is a green product, free from pesticides, herbicides and fungicides. Obtained from the end bud and first shoot of the tea leaf. It is tightly rolled, black, and results in rich infusion with a delicate scent and flavour.